Annamarie Bam graduated with the degrees B.Mus and B.Mus(Hons) from the University of the Free State, South Africa, having taken lessons with Harold Strebel in Cape Town and Heinrich Armer in Bloemfontein. She was the overall winner of the ATKV Forte competition and won the overseas scholarship for Performer’s Licentiate from the Royal Schools of Music. She continued her studies at the Royal Academy in London under John Davies, Richard Addison and Antony Pay and also attended master with Karl Leister in London and Guy Deplus in Nice. Her orchestral experience began at an early age in Bloemfontein where she joined various wind bands and also the PACOFS Orchestra as an ad hoc member. She was principal clarinet of the S.A. National Youth Orchestra for four consecutive years. When she returned from London, she joined the Natal Philharmonic Orchestra as sub-principal clarinet and was later promoted to co-principal. In 1992 she took up a full-time teaching position at the Musicon in Bloemfontein and rejoined PACOFS. As an experienced chamber musician, Annamarie has played with ‘Taffanel Trio’, the ‘Poulenc Players’ sextet, in a duo with Elna van der Merwe, and in a trio with Elna and Sabina Mossolow, on recent appearances at the Woordfees (2016, 2018), and in Sasolburg with ‘Trio Classique’, an ensemble with Benjamin van Eeden (piano) and Karen Gaertner (viola). 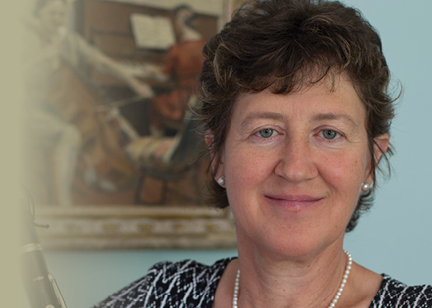 Annamarie teaches privately at home and at the Johnman Centre in Stellenbosch and began a recorder school (the ‘Little Crickets’) for young children in 2005. 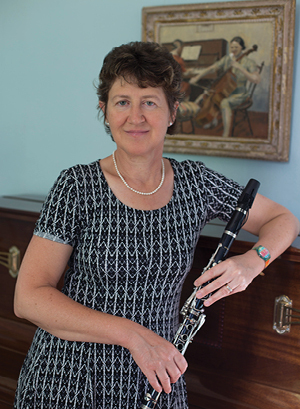 She teaches a course in clarinet repertoire and teaching methods as a part-time lecturer at the Stellenbosch University Music Conservatorium. She lives in Somerset West with her husband and two daughters. Annamarie joined the Stellenbosch City Orchestra in 2015 as clarinet player. The orchestra gave its first performances at Oude Libertas (Stellenbosch), at Lourensford (Somerset West) and, recently, in the open air concert hall Congratia, near Oudtshoorn.